You have to hand it to the folks at NASCAR as they really know how to kick off their top series, the Monster Energy Cup, with a bang. 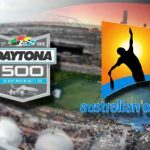 The Super Bowl of stock car racing is the Daytona 500, also known as “the Great American Race,” and that kicks off the 2019 season from Daytona International Speedway on Sunday. 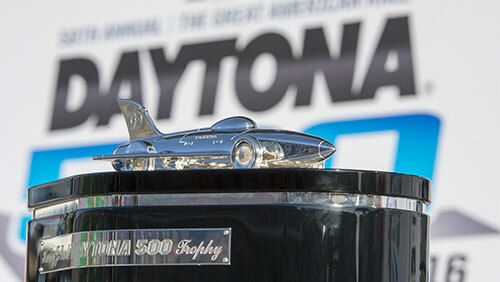 The co-favorite is Brad Keselowski at +800 even though he is looking for his first Daytona 500 victory. He did win the non-points Clash at Daytona last year but was then knocked out of the 500 in a multi-car crash. Keselowski completed 102 laps. Keselowski drives Team Penske’s No. 2 Ford. His best Daytona result was third in 2014. Keselowski has had a lot of success at the other restrictor-plate track on the circuit, winning five times at Talladega. Joey Logano is also +800. He won the 2015 Daytona 500 on a green-white-checkered overtime restart. That restart came after a six-minute red-flag period caused by a Justin Allgaier crash. Logano in 2009 became the youngest-ever race winner in NASCAR Monster Energy Cup Series history at age 19. William Byron won this year’s Daytona 500 pole, but he’s a +3000 longshot. It was the first career pole for the 21-year-old in NASCAR’s top series and 700th overall for Chevrolet. No driver has won the Daytona 500 from the pole since Dale Jarrett in 2000. Byron’s Hendrick Motorsports teammate, Alex Bowman (+2500), also starts on the front row. He won last year’s Daytona pole but finished 17th. The defending Daytona 500 champion is first-time winner Austin Dillon. That was fitting because Dillon drove the No. 3 Chevrolet formerly piloted by the late Dale Earnhardt Sr. His lone Daytona 500 win was 20 years earlier. Dillon’s victory also came exactly 17 years after Dale Sr. was killed in a wreck in the Daytona 500. Dillon became just the second driver to win the Daytona 500 after leading only the final lap. Kurt Busch did it in 2017. Dillon is +3000 to repeat, which hasn’t happened at Daytona in more than two decades. The only active driver with multiple Daytona 500 wins is Jimmie Johnson (2006 and 2013). Johnson won last weekend’s rain-shortened Clash after causing a massive wreck. Johnson hasn’t won a Cup race since June 4, 2017 at Dover and is +1800 for Sunday. 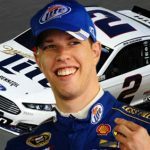 Keselowski co-Favored to win 2017 Daytona 500 along with Earnhardt Jr.